Victoria Khalatyan, a talented and successful graphic designer and artist, has always possessed a passion for storytelling. Since her days as an Assistant at The William Morris Agency, she has been honing her craft as a fiction writer. Victoria is excited to add “published author” to her resume with the release of her debut novel Lola, the tale of a intersex teen surviving deplorable conditions at her school. Lola is Victoria’s first book with Rothco Press. 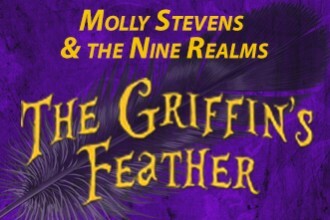 “Molly Stevens & the Nine Realms: The Griffin’s Feather” By Anne Harrington Molly Stevens thinks she knows everything about her new home in Santa Geronimo…. 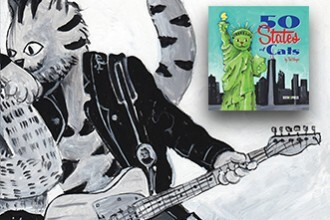 Praised by adults for its sly humor and kids of all ages for engaging portraits of kitties, Ted Meyer’s 50 States of Cats takes readers on a fully illustrated, offbeat and hilarious state by state exploration of the USA. 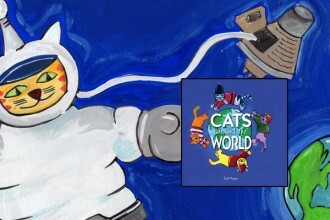 Ted Meyer’s Cats Around the World is a hilarious and irreverent look at the quirks and cultural nuances of dozens of countries around the world–all from the point of view of our furry friends. © 2015 Rothco Press. All rights reserved.